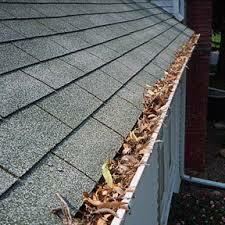 Eavestroughs should be cleaned twice a year, (fall & spring), to ensure proper drainage. Debris like leafs, acorns and shingle grits build up and prevent water from draining properly from your gutters. 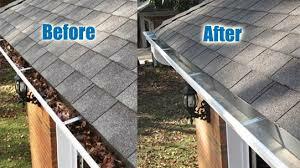 We offer professional eavestrough cleaning services. What sets us apart from others is that we don't only clean your eavestroughs, we clean out your downspouts! Blockage issues start in the downspouts. We use pressurized water and snake rods to clean out your downspouts to ensure your eavestrough drain properly. We also use vacuums to remove debris from your eavestrough. We wont leave the mess behind like others would. What's in your eavestrough....comes with us!